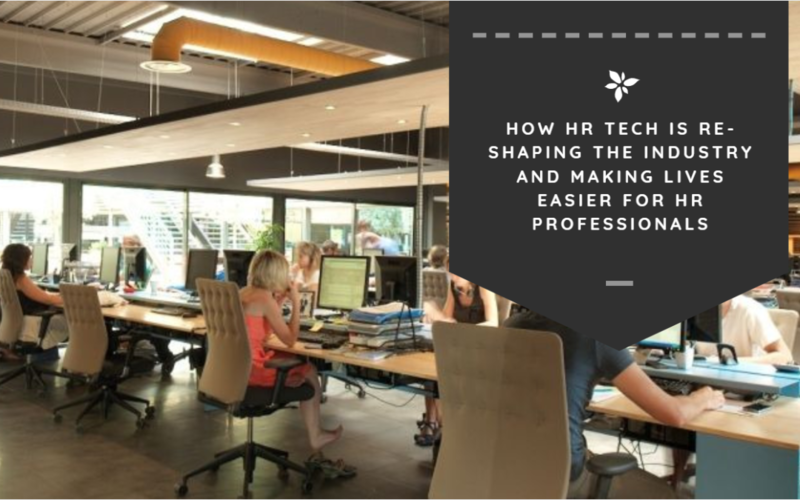 We are seeing some foundational shifts in the HR industry, driven by technology solutions that have emerged in the last decade, fundamentally changing the role of many HR professionals across industries. These innovations have allowed for HR departments to expand their role to be more strategy-centric, and use analytics and data-backed strategies to drive success within their department. 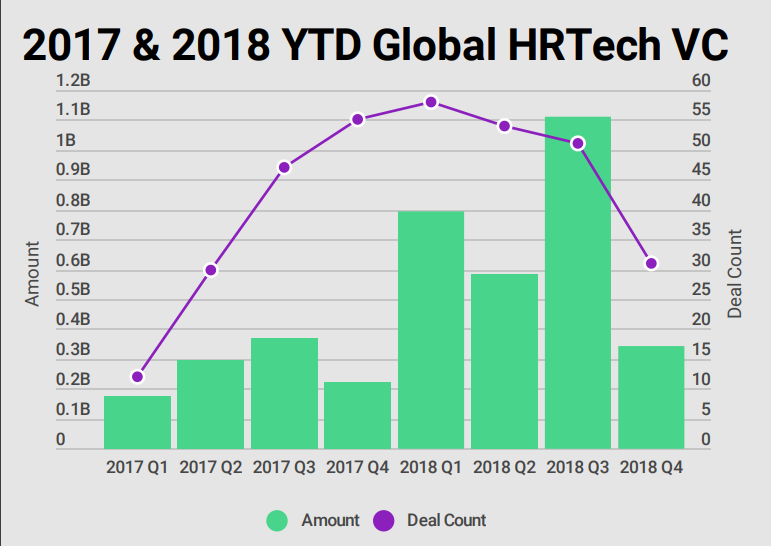 In the 2019 HCM Trends report that was released by The HR Federation, the global HR technology venture capital topped $3.1 billion in 2018. This report encompasses a wide range of technologies, primarily driven by innovations in HR automation and intelligence. As an HR professional, this can be a scary prospect. We hear a lot about how automation will displace a large percentage of the workforce in the future. A recent report by British think tank Centre for Cities found that 1 in 5 jobs will someday be displaced by automation. HR will be an industry that is undoubtedly affected, but until those jobs start to be displaced, we’re mostly seeing automation act as a huge boon to the industry. Tech innovations have made HR departments more agile, data-driven, and effective. The way that we recruit people into our companies and organizations has changed for the better in the HR tech revolution. Recruiting has always been a lengthy and costly process for companies. It was necessary to take your time to find the right candidate for a position because the cost of hiring and training and employee has always been quite high. Better to sift through and interview more employees than make a mistake and hire the wrong person. A.I. has made it easier for companies to sift through large databases of applicants to find people that have the right skill. Algorithmically, these systems are able to determine who would be a better fit for your company more competently than most hiring managers. While A.I. can not outperform humans in all hiring decisions, it is an excellent tool for evaluating skills and credentials to narrow down a list of candidates and filter out entries that do not meet your minimum qualifications. For now, A.I. might be changing the way that companies recruit, but many have found it impossible to remove the human element from the process. Still, A.I. allows companies to make more accurate recruiting decisions while vastly expanding their pool of candidates. Compliance has always been a major challenge for HR teams. The rules and regulations around certain business practices are constantly in flux in local and federal governments, which requires HR departments to change the way that they work, hire, and interact with employees. Today, compliance is made easier by software systems that are constantly updated, helping companies to alter their processes to ensure compliance as laws change. Businesses that have embraced technology to help them with compliance have noticed huge improvements in risk mitigation and violations. Not only do these systems allow them to stay within the bounds of regulations while improving their reputations among employees. Over time, these systems help companies to improve employee retention efforts. Today’s HR departments are armed with data that their predecessors would have dreamed of just a few years ago. Injecting data into HR decision-making processes helps HR managers and executives to make smarter decisions about their workforce. The data collected and gleaned from HR departments and their job activities can create actionable insights that companies can use to improve. With each passing year, the amount of data collected and the number of ways that the data can be used increases. While the nature of the job ensures that the human element will always play a role in HR decisions, having data on hand to aid in those decision-making processes will lead to fairer, more consistent results across the board. Studies have shown that a more ethnically and gender-diverse leadership team correlates directly with an increase in profits. Employees (and consumers) are more often looking for workplaces that promote diversity and inclusion. This has had a major impact on recruiting, as companies look to prove to employees that these traits are important to them as an organization. Analytics provide a clearer view of the diversity and inclusion within an organization. Software can help companies to evaluate their workforce. They can identify pay discrepancies based on a wide array of criteria within their organization. The spotlight on diversity and inclusion within organizations will only continue to grow in the current political climate. With it, employees and companies will place more focus on these aspects. HR tech allows recruiters to not only meet the changing political climate head-on but exceed expectations in growth in overall diversity in very short windows of time. HR teams simply enjoy a bigger role within organizations based on all of the time that A.I. and automation have freed up for HR teams. Less time is required for administrative tasks and this has allowed creativity to reign, with job descriptions rapidly expanding to cover new tasks for many HR positions. There once was a time when HR professionals were commonly depicted as having huge piles of paperwork in front of them, constantly struggling to keep up with compliance, hiring, and recruiting tasks throughout the company. Those stereotypes are being re-shaped. Because many of these tasks are ripe for automation, HR professionals enjoy a more strategic position within these areas of their respective companies. They play a more central role in the decision-making process. The HR industry is one that has always been in flux. As states and countries enact changes to the way that companies must evaluate, hire, and recruit — it is important that HR departments are able to seamlessly respond to these developments, while integrating the changes into their larger strategies. While the future of HR tech certainly does create some uncertainty in the industry, for now, HR departments are enjoying a larger, more strategic role within organizations.